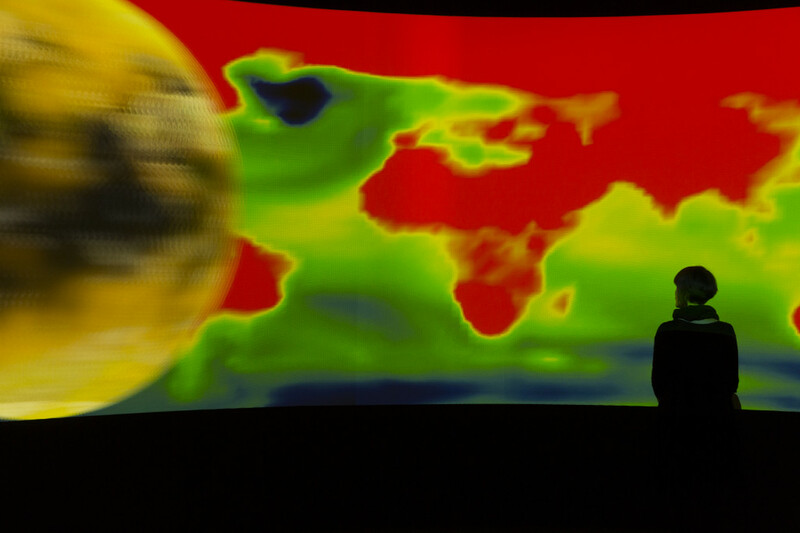 CLIMARTE is pleased to announce the return of ART+CLIMATE=CHANGE 2017, a festival of provocative climate change related arts and ideas. 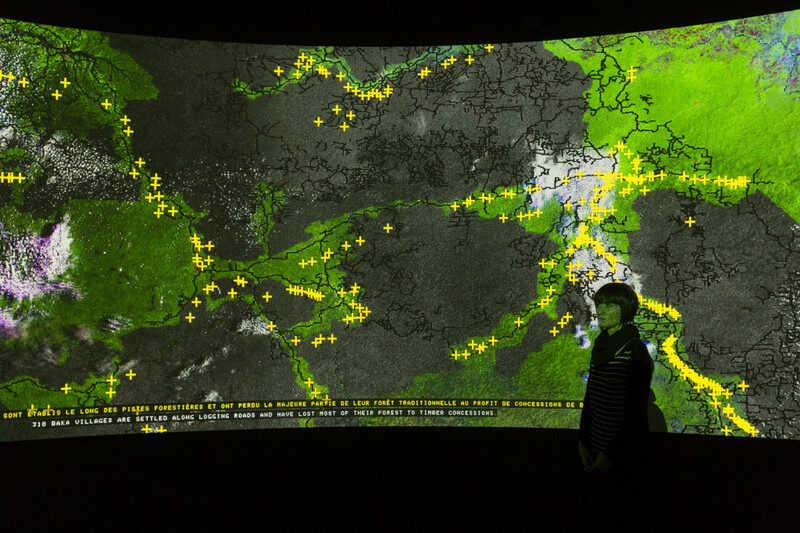 Following on from the successful 2015 inaugural event, ART+CLIMATE=CHANGE 2017 will take place across Melbourne and regional Victoria from 19 April until 14 May. 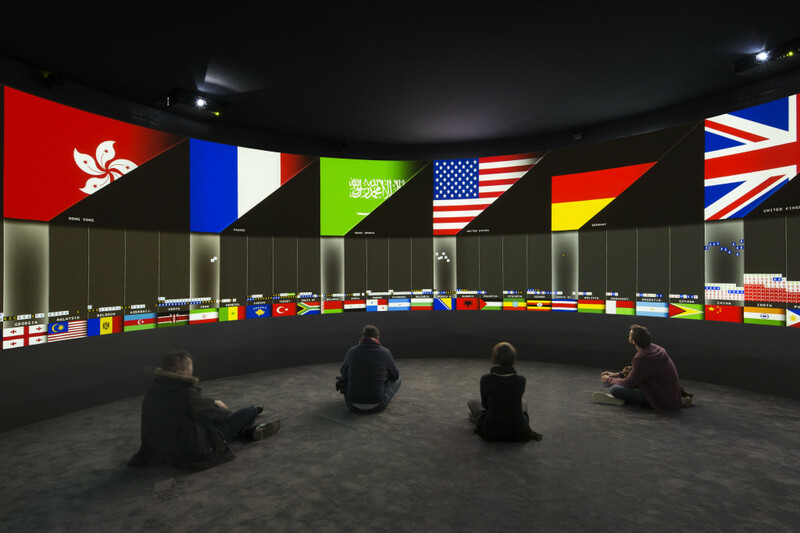 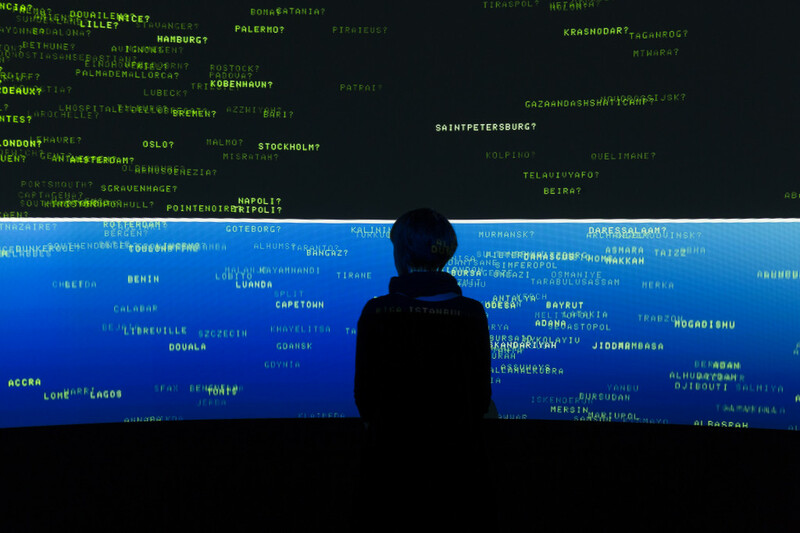 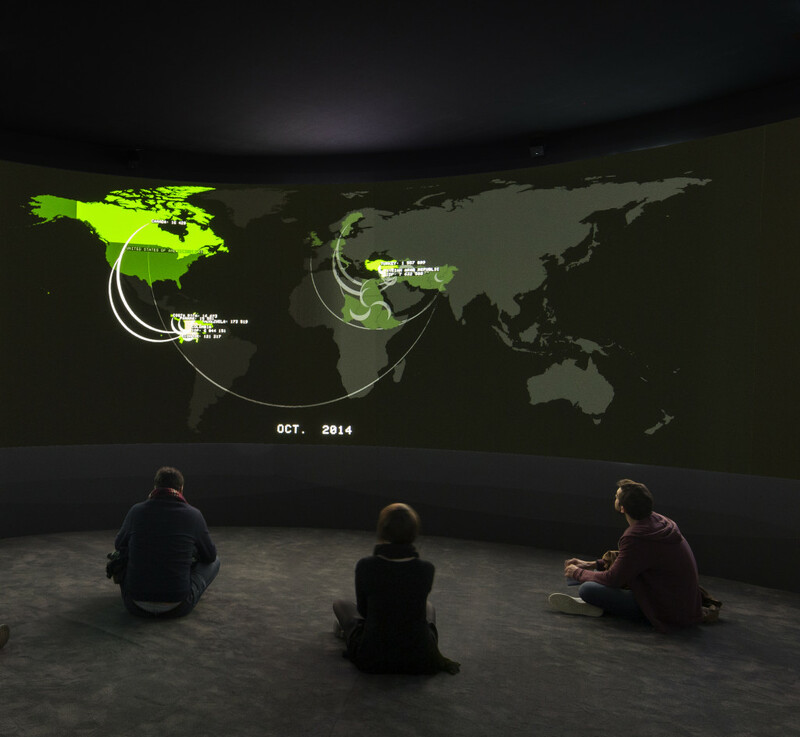 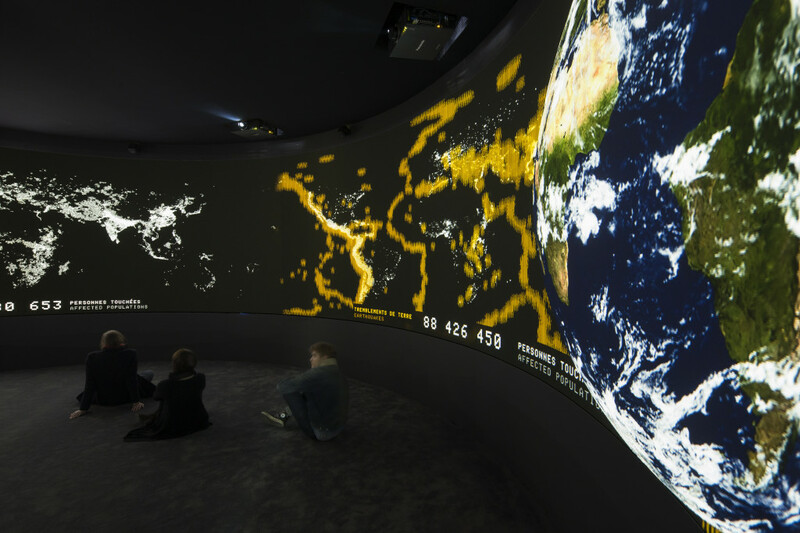 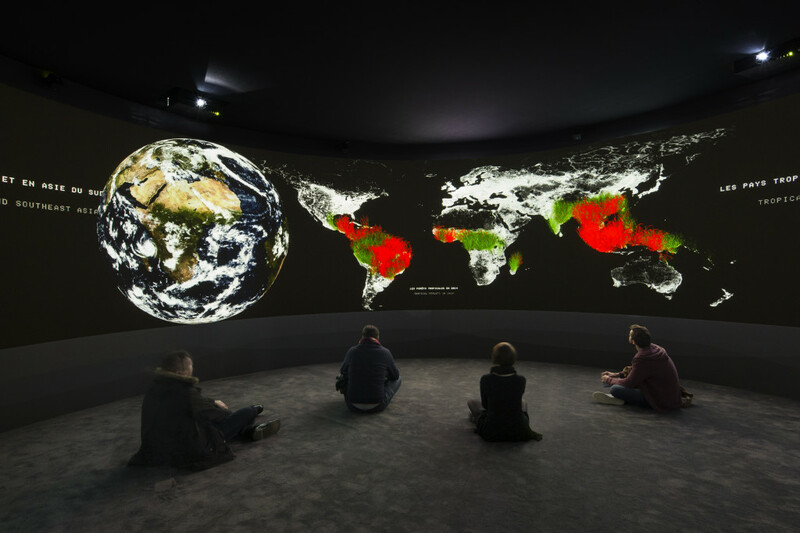 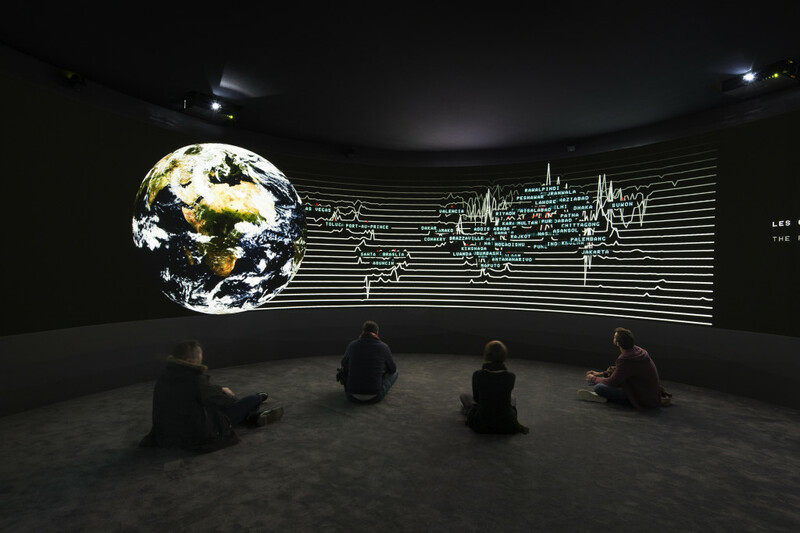 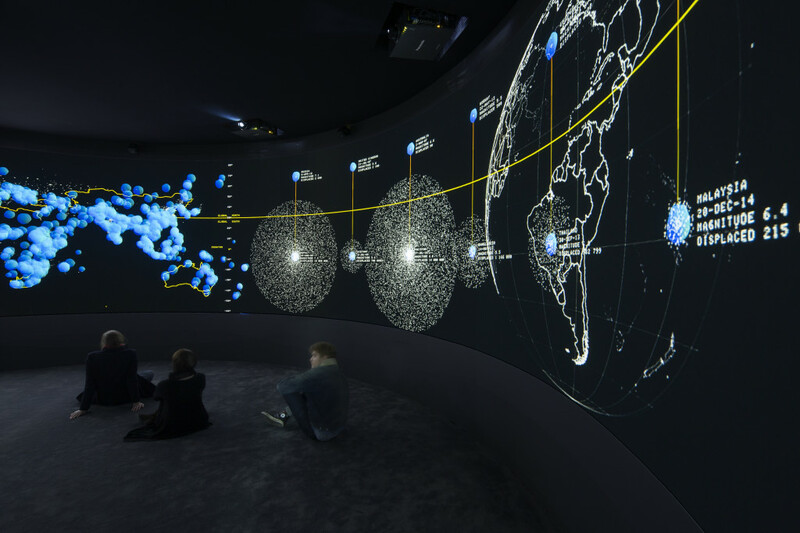 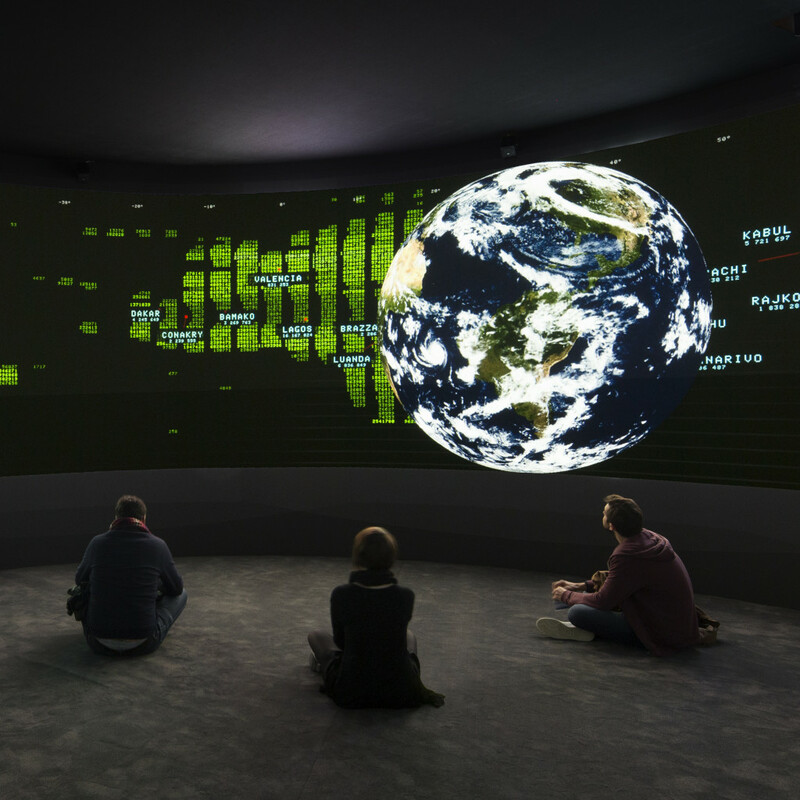 Through its curated exhibitions and events, including the highly anticipated 360° video installation EXIT by Diller Scofidio + Renfro (at the Ian Potter Museum of Art at Melbourne University), ART+CLIMATE=CHANGE 2017 provides a platform for the discussion of the challenges, opportunities, impacts, and solutions associated with climate change. 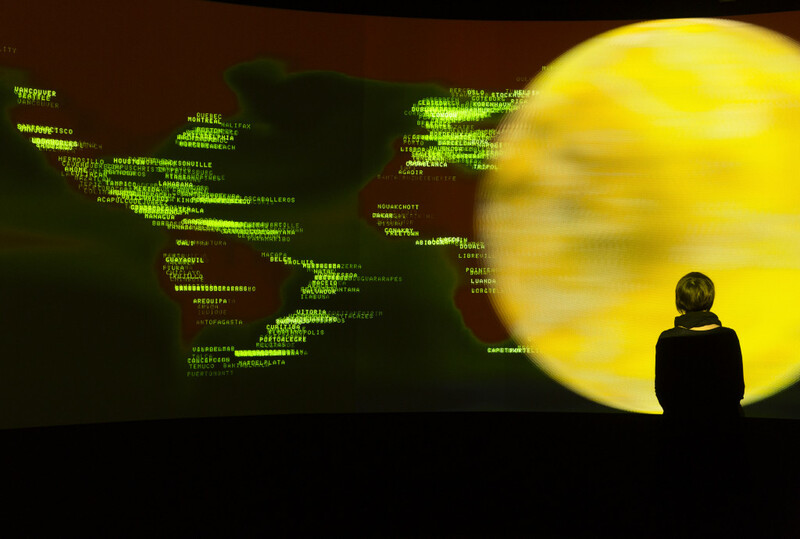 EXIT holds a dramatic mirror to a contemporary global concern: unprecedented numbers of migrants are leaving their home countries for political, economic, and environmental reasons. 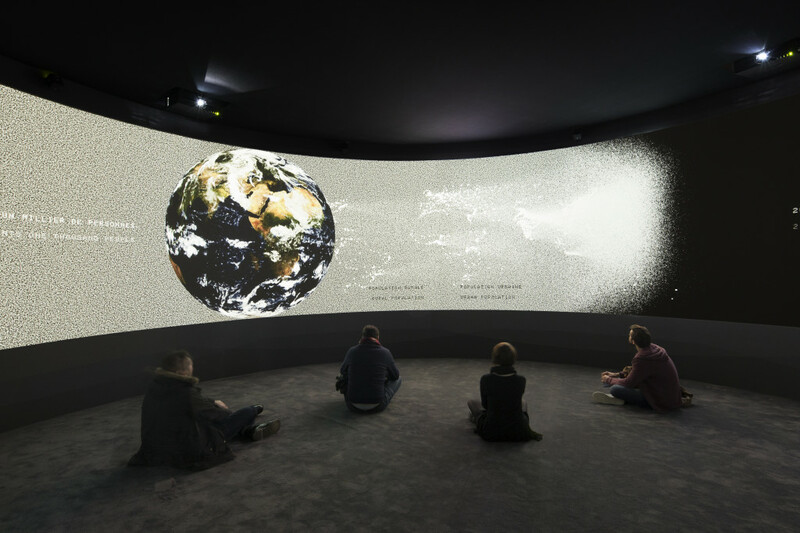 Commissioned by the Fondation Cartier pour l’art contemporain, Paris, EXIT was created to quantify, display, and interpret this escalating trend. 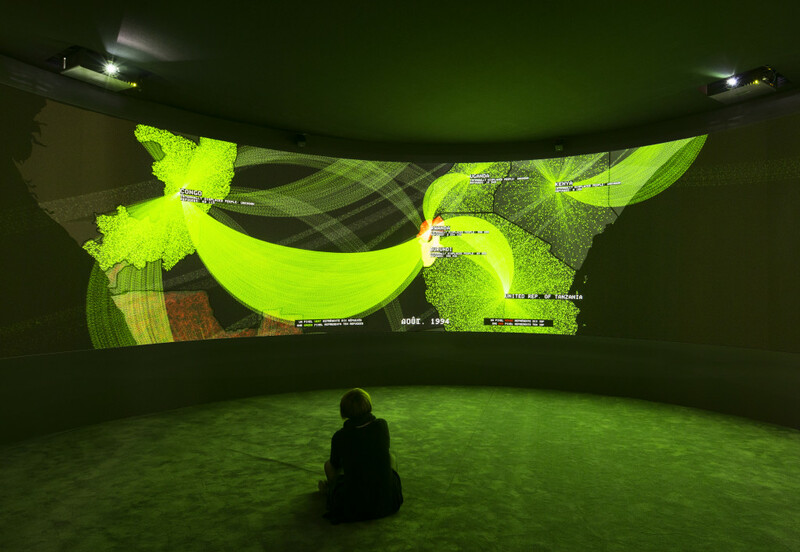 Based on an idea of acclaimed French philosopher and urbanist, Paul Virilio, EXIT was created by Diller Scofidio + Renfro, a New York-based studio of artists and architects, in collaboration with architect-artist Laura Kurgan, statistician-artist Mark Hansen, and artist-designer Ben Rubin in collaboration with Robert Gerard Pietrusko, Stewart Smith, and a core team of scientists and geographers. 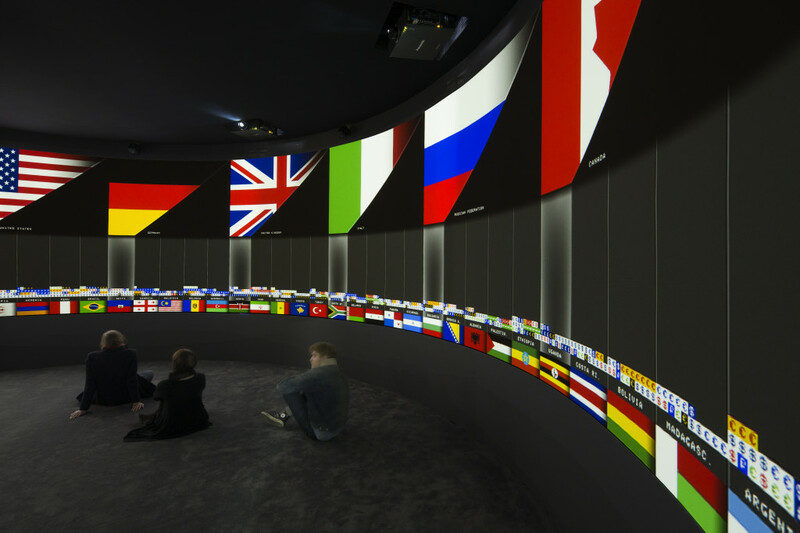 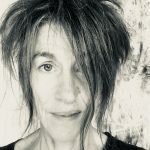 The work was commissioned by the Fondation Cartier pour l’art contemporain for its 2008 exhibition, Native Land, Stop Eject, curated by Hervé Chandès, General Director; it is now part of the Fondation Cartier collection. 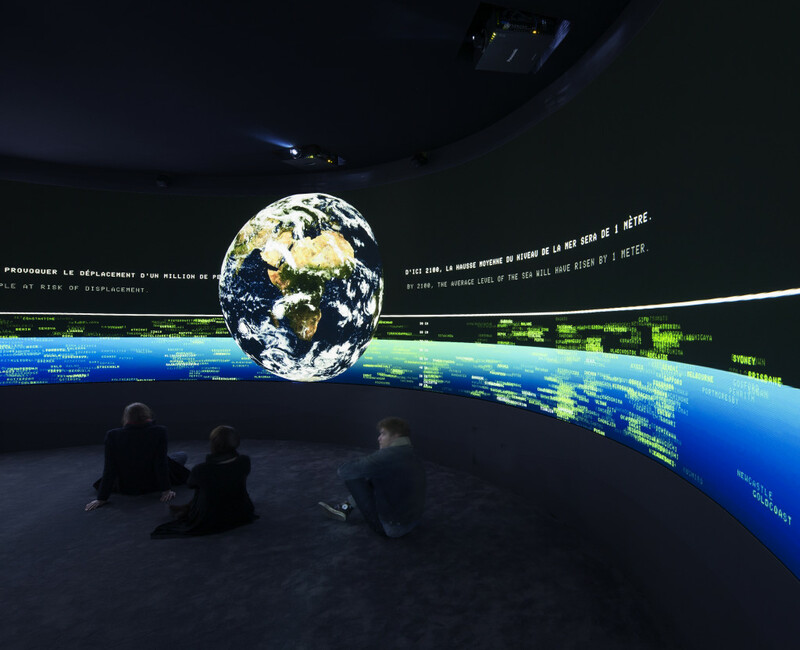 EXIT was updated completely in October 2015 on the occasion of COP21, when it was displayed at the Palais de Tokyo, Paris.